As many are aware, the intro to the SpongeBob halftime performance at the Bubble Bowl, the animated cartoon’s version of the Super Bowl, appeared briefly during halftime of Super Bowl LIII on Sunday night. 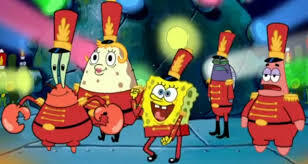 As it came as a surprise to many, others hoped that Maroon 5 would include the SpongeBob’s Bubble Bowl song, “Sweet Victory”, in some way, shape, or form after a petition went around requesting the band Maroon 5 to include, or even play, the animated show’s rendition of halftime entertainment. The momentum around getting the Bubble Bowl “Sweet Victory” performance broadcasted at the half time of the Super Bowl came about when the creator of the Nickelodeon show, Stephen Hillenburg, passed away back in late Nov. 2018. After his passing, the online petition rapidly circulated the internet, exciting SpongeBob fanatics. For those anticipating the Bubble Bowl performance to make an appearance at halftime, many were disappointed at how brief and out of context this bit was. Although it is true that in today’s day and age we get a majority of information in little bits and blurbs across many social media platforms, this quick showing of the Bubble bowl appearance was, well, just too short. The Super Bowl coverage should have included more of the outstanding performance. 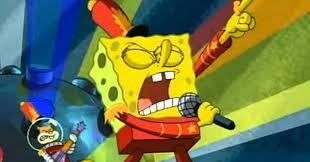 SpongeBob gives it his all during his “Sweet Victory” performance at the Bubble Bowl. The full “Sweet Victory” performance included a solo from SpongeBob, the main character of the show. It seemed unfitting that the main character got such minimal attention and coverage within the ten second “Sweet Victory” showing. In addition to SpongeBob on Mic, he was accompanied by various other characters who rocked it including Patrick Star on Drums, Mr. Crabs on the keytar, and Mrs. Puff Sandy jamming the electric guitar, all of which also didn’t quite make the cut in the Super Bowl either. Take it or leave it, SpongeBob and friends got jipped when their magnificent performances were unable to be showcased for almost one hundred million viewers of this years Super Bowl.